It is hard enough placing a loved one in a nursing home and even harder to learn that they were injured there. When a loved one is injured, immediately find out how it allegedly happened. A nursing home injury is any form of physical, mental, psychosocial, or financial harm that a nursing home resident suffers as a result of some action or inaction by the nursing home. While not all nursing home injuries are preventable, many are. In many cases a nursing home injury is, at least in part, the result of nursing home negligence. Ohio has special rules, regulations and laws for nursing homes. Nursing home professionals have a duty to provide safe and reasonable care to its residents. This includes the duty to properly assess the health and needs of each resident and to implement and follow a care plan. That care plan should be developed when the resident enters the nursing home and continually revised as the resident’s needs change, especially important is the development of a fall prevention program and the maintenance of adequate staffing. Basically, nursing homes have a duty to do what is reasonable considering the situation. The elderly are a special class who require a significant level of care. Obtaining prompt medical attention is of paramount importance. If the injury a loved one has suffered is serious, it may be appropriate to call 911 and have him or her taken to the hospital immediately. Typically, the nursing home will arrange for transportation to the hospital. If an ambulance is not necessary, it still may be wise to take your loved one to the emergency room that same day or at least have him or her see your family doctor or the nursing home physician as soon as possible. A critical aspect of any case where an injury has occurred is the investigation of the circumstances surrounding the injury and the preservation of evidence. The investigation typically involves an examination of the scene of the injury while the evidence, such as the location or condition of the premises or any equipment involved, is still fresh. It is sometimes necessary to notify the nursing home of its obligation to preserve evidence or even obtain a court order to ensure that relevant evidence is preserved. Often, governmental investigators are involved as well. Where that is the case, it is important to contact and establish a relationship with those investigators as soon as practical. Finally, identifying witnesses, securing their cooperation, and obtaining their statements as to what they saw or heard, as well as background information about the environs of the nursing home, should also be done as soon as possible. 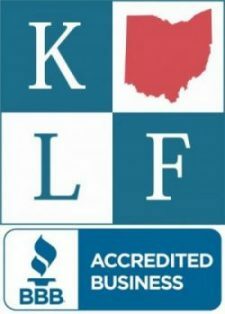 Because of the importance of a quick assessment of the surrounding facts, an investigation of the circumstances of the injury, and preservation of relevant evidence, you should consider retaining a qualified attorney experienced in working with personal injuries of all sorts and knowledgeable about investigations of nursing home injury situations. Through its experience in working with experts in numerous medical specialties as well as accident reconstruction, defective equipment, and a host of other areas, Brown & Szaller can bring tremendous expertise to bear and obtain for you the recompense that you deserve. It is important to seek legal assistance from a lawyer with experience in nursing home injuries or death as soon as possible after the accident. We will need time to obtain medical records, videos, witness statements and gather a variety of information necessary to establish your case. The earlier you contact us, the greater your chance of obtaining a strong recovery either through settlement or a lawsuit for compensation. With adequate time, an experienced lawyer can strengthen the case, emphasizing favorable facts while eliminating the weaknesses in the nursing home case. An experienced lawyer will know the general contours of information required to strengthen your claim for compensation. Thus, you increase the likelihood that you will prevail in your case and you increase the amount of compensation you are likely to recover by retaining a lawyer with experience in nursing home cases. An experienced lawyer, such as those at the Brown & Szaller law firm, will meet with you, listen to what you have to say, explain your legal options, gather the critical facts, obtain and review medical reports and witness statements, and help you decide upon the best course of action.